This Impact D-1000 1,000W AC Dimmer Control gives you stepless 0-100% power control over your quartz halogen or incandescent light source up to 1,000W. 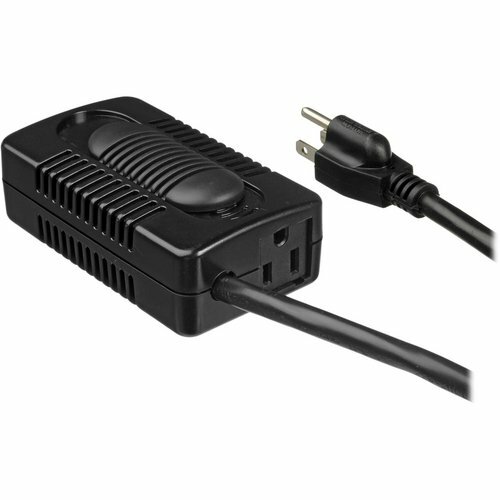 Unlike other models, the dimmer is equipped with a 3-prong US grounded plug with heavy-gauge 6'4" cord, as well as a 3-prong input for the light to be dimmed. The lightweight plastic D-1000 features a simple sliding rheostat control that can be operated by hand or foot.